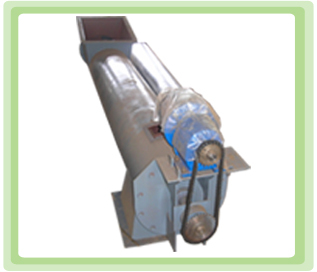 Screw Conveyor are used to convey material from one place to another place by means Rotating Screw type Auger. Material can be carried either horizontally or vertically or at required angle. It consists of a Screw Auger Rotating in a pipe for vertical lifting or in a U-shaped trough for horizontal conveying. 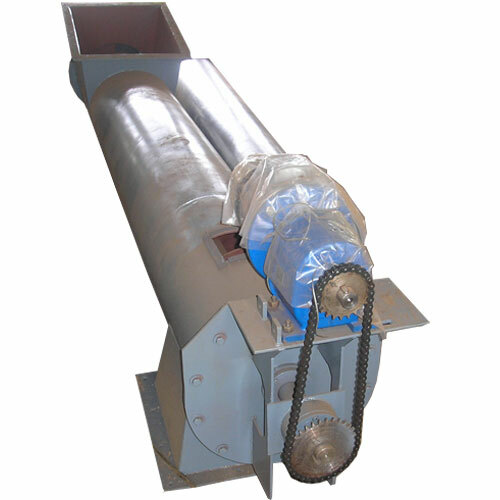 The Screw Auger can be provided with dumping hopper for intake of materials. Discharge may be directly to storage bin or further equipments. Screw blades are made from high capacity press. These blades have precise dimensions and made up by heavy 5 mm MS sheet depending upon the material being carried. These blades have high wear and tear resistance to cope with different sorts of materials. Cleaning doors are provided at proper locations for cleaning of screw auger. 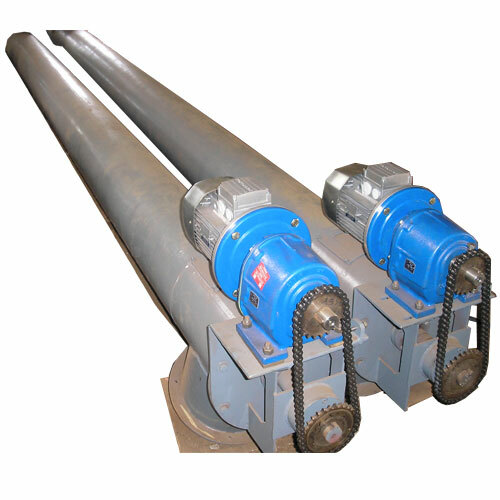 Screw Conveyor are backed by good quality bearings for smooth and maintenance free operation. At the centre, hanger bearings are provided if necessary. 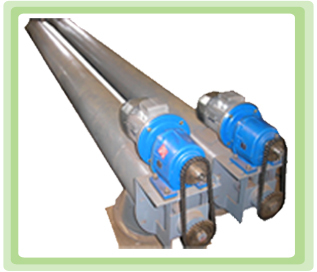 Use of oil seal and precisely machined bearing housing is also major feature of our screw conveyors. Oil seal prevents entry of any material from inside of screw conveyor in to bearing which results in increase in life of bearings.